Previously, the dominating parts of the Mensheviks and of the Socialist Revolutionary Party had supported the continuation of Russian involvement in World War I by the Provisional Government after the February Revolution of 1917. The Bolsheviks called the war an interimperialist war and called for the revolutionary defeat of their own imperialist government. Within the Mensheviks and the Socialist Revolutionists, there did exist factions that also opposed the war and the government, but much of their leadership was involved in both. In the July Days of 1917, the Menshevik and Socialist Revolutionary parties supported suppression of the Bolsheviks. The Bolshevik Party came to power in the October Revolution of November 1917 through simultaneous election in the most prominent soviets and an organized uprising supported by military mutiny. Several of the main reasons for which much of the population supported the Bolsheviks were to end the war and have a social revolution, exemplified by the slogan "Peace, Land, Bread". The Bolsheviks invited Left SRs and Martov's Menshevik-Internationalists to join the government. The Mensheviks and Right SRs walked out. The majority of SRs split to form the Left SRs and joined the Bolshevik coalition government, supporting the Bolsheviks' immediate enactment of the Socialist Revolutionary Party's land redistribution program. The Left SRs were given four Commissar positions and held high posts within the Cheka. The Left SRs still diverged with the Bolsheviks on the issue of the war. The only party banned at first was the pogromist Union of the Russian People, generally known as "The Black Hundreds". Anarchists, like the Socialist Revolutionaries, were divided. Some supported the Bolsheviks, holding minor positions in the government, some were neutral, and some actively resisted. Anarchists that supported the Soviet government were referred to as "Soviet anarchists", by anti-Bolshevik anarchists, and were lauded by Lenin in August 1919 as "the most dedicated supporters of Soviet power". The Constituent Assembly had been a demand of the Bolsheviks against the Provisional Government, which kept delaying it. After the October Revolution the elections were run by the body appointed by the previous Provisional Government. It was based on universal suffrage, but used party lists from before the Left-Right SR split. The anti-soviet Right SRs took the majority of the seats but this reflected the opposite of reality: the majority of SRs and the people were pro-soviet. Lenin's Theses on the Constituent Assembly argued in Pravda that because of class conflicts, conflicts with Ukraine, and with the Kadet-Kaledin uprising formal democracy was impossible. He argued the Constituent Assembly must unconditionally accept sovereignty of the soviet government or it would be dealt with "by revolutionary means". On December 30, 1917, the SR Nikolai Avksentiev and some followers were arrested for organizing a conspiracy. This was the first time Bolsheviks used this kind of repression against a socialist party. Izvestia said the arrest was not related to his membership in the Constituent Assembly. On January 4, 1918, the VTsIK made a resolution saying the slogan "all power to the constituent assembly" was counterrevolutionary and equivalent to "down with the soviets". The Constituent Assembly met on January 18, 1918. The Right SR Chernov was elected president defeating the Bolshevik supported candidate, the Left SR Maria Spiridonova. The majority refused to accept sovereignty of the Soviet government, and in response the Bolsheviks and Left SRs walked out. It was dispersed by an armed guard, sailor Zheleznyakov. A simultaneous demonstration in favor of the Constituent Assembly was dispersed with force, but there was little protest afterward as people in general supported the Bolsheviks. The Union of Regeneration was founded in Moscow in April 1918 as an underground agency organizing democratic resistance to the Bolshevik dictatorship, composed of the Popular Socialists, Right Socialist Revolutionaries, and Defensists, among others. They were tasked with propping up anti-Bolshevik forces and to create a Russian state system based on civil liberties, patriotism, and state-consciousness with the goal to liberate the country from the "Germano-Bolshevik" yoke. On May 7, 1918, the Eighth Party Council of the Party of Socialist Revolutionaries commenced in Moscow and recognized the Union's leading role, putting aside political ideology and class for the purpose of Russia's salvation. They decided to start an uprising against the Bolsheviks with the goal of reconvening the Russian Constituent Assembly. While preparations were under way, the Czechoslovak Legions overthrew Bolshevik rule in Siberia, the Urals and the Volga region in late May-early June 1918 and the center of SR activity shifted there. On June 8, 1918, five Constituent Assembly members formed the All-Russian Committee of Members of the Constituent Assembly (Komuch) in Samara and declared it the new supreme authority in the country. The Social Revolutionary Provisional Government of Autonomous Siberia came to power on June 29, 1918, after the uprising in Vladivostok. The Left SRs were dismayed that the Treaty of Brest-Litovsk gave up large amounts of territory. With the signing of the Treaty of Brest-Litovsk by the Bolsheviks on March 3, 1918, the Socialist Revolutionary leadership "increasingly viewed" the Bolshevik government as a German proxy. They left the government in protest in March 1918. At the 5th All-Russia Congress of Soviets of July 4, 1918, the Left Socialist-Revolutionaries had 352 delegates compared to 745 Bolsheviks out of 1132 total. The Left SRs raised disagreements on the suppression of rival parties, the death penalty, and mainly, the Treaty of Brest-Litovsk. The Bolsheviks excluded the Right SRs and Mensheviks from the government on 14 June for associating with counterrevolutionaries and seeking to "organize armed attacks against the workers and peasants" (though Mensheviks had not supported them), while the Left SRs advocated forming a government of all socialist parties. The Left SRs agreed with extrajudicial execution of political opponents to stop the counterrevolution, but opposed having the government legally pronouncing death sentences, an unusual position that is best understood within the context of the group's terrorist past. The Left SRs strongly opposed the Treaty of Brest-Litovsk, and opposed Trotsky's insistence that no one try to attack German troops in Ukraine. Defeated at the Congress, the Left SRs pursued their aim of sabotaging the Treaty of Brest-Litovsk and dragging Soviet Russia back into war with Germany by using their positions within the Cheka to assassinate the German Ambassador in Moscow, Count Wilhelm von Mirbach, on July 6, 1918. The Leadership of the Left SRs incorrectly believed this assassination would lead to a widespread popular uprising in support of their aims. They claimed to be leading an uprising against peace with Germany and not necessarily against the Bolsheviks and Soviet power. The main rebel force was a detachment commanded by Dmitry Ivanovich Popov, a Left S.R. and member of the Cheka. About 1,800 revolutionaries took part in the insurrection, bombarding the Moscow Kremlin with artillery and seizing the telephone exchange and telegraph office. During the two days that they remained in control there, they sent out several manifestos, bulletins and telegrams in the name of the Left S.R. Central Committee declaring that the Left S.R.s had taken over power and that their action had been welcomed by the whole people. The Fifth Congress of Soviets instructed the government to suppress the insurrection at once, and the group of Left S.R.s at the Congress was arrested. Left S.R.s and anarchists also started insurrections in Petrograd (Saint Petersburg), Vologda, Arzamas, Murom, Yaroslavl, Veliky Ustyug, Rybinsk and other cities. A telegram from the Left S. R. Central Committee stating that the Left S.R.s had seized power in Moscow, was sent to M. A. Muravyov, a Left S.R. and Commander of the Eastern Front (World War I). On the pretext of attacking the Germans, he seized Simbirsk (later Ulyanovsk) and marched his forces on Moscow in support of the revolutionaries. The result of the Left SR Uprising was the suppression of the Left SRs, the last major independent party other than the Bolsheviks, leaving the Bolsheviks as the only party in government. Subsequent uprisings included the Tambov Rebellion, Workers' Opposition, and the Kronstadt rebellion. Socialist Revolutionaries tended to claim to be fighting to restore the February Revolution. Some anarchists used the slogan "Third Revolution". The slogan was later used during the Kronstadt rebellion also. Lenin sent the telegrams to "introduce mass terror" in Nizhny Novgorod in response to the civilian uprising there, and "crush" peasants in Penza who protested to requisition of their grain by military detachments. Comrades! The kulak uprising in your five districts must be crushed without pity. The interests of the whole revolution demand such actions, for the final struggle with the kulaks has now begun. You must make an example of these people. (1) Hang (I mean hang publicly, so that people see it) at least 100 kulaks, rich bastards, and known bloodsuckers. (2) Publish their names. (3) Seize all their grain. (4) Single out the hostages per my instructions in yesterday's telegram. Do all this so that for miles around people see it all, understand it, tremble, and tell themselves that we are killing the bloodthirsty kulaks and that we will continue to do so. Reply saying you have received and carried out these instructions. Yours, Lenin. In the morning of August 30, 1918, a Social Revolutionary Leonid Kannegisser, who was Boris Savinkov's comrade, killed the chief of the Cheka in Petrograd, Moisei Uritsky, in his office. On August 30, 1918 Lenin survived an attempted assassination by Fanny Kaplan leaving a bullet in his neck. This contributed to the strokes that prevented him from removing Stalin. On September 5, 1918 the Cheka gave responsibility for targeting opposing parties on the left such as the Social Revolutionaries and other anti-Bolshevik groups, chiefly the anarchists, by the policy of Red Terror. In November 1918, the Sixth All-Russian Congress of Soviets met. They approved an amnesty, ordering release of those detained by the Cheka who had no definite charges within two weeks of arrest, and of hostages except those needed to guarantee hostages held by their enemies. They also held out an olive branch to the other socialist parties. The Menshevik conference in October 1918 had declared military support to the Soviet Government but still opposed the Cheka and terror. On November 30 the VTsIK annulled the exclusion of the Mensheviks except those who were still allied with enemies. 3. It will present an account of its activities to the Constituent Assembly as soon as the Constituent Assembly declares that it has resumed operation. It will subordinate itself unconditionally to the Constituent Assembly, as the only supreme authority in the country. Initially, the agreement had the support of the Socialist Revolutionary Central Committee which delegated two of its right-wing members, Avksentiev and Zenzinov, to the five member Ufa Directory. However, when Viktor Chernov arrived in Samara on September 19, 1918, he was able to persuade the Central Committee to withdraw support from the Directory because he viewed it as too conservative and the SR presence there as insufficient. This put the Directory in a political vacuum and two months later, in November 1918, The Social Revolutionary-Menshevik Provisional Government of Autonomous Siberia was overthrown in the military coup d'etat. Kolchak had returned to Omsk on November 16 from an inspection tour. He was approached and refused to take power. On November 18, 1918, Ufa Directory was overthrown by rightwing officers who made Alexander Kolchak the new Supreme Ruler (Verkhovnyi Pravitel), and he promoted himself to Admiral. The Socialist-Revolutionary (SR) Directory leader and members were arrested on November 18 by a troop of Cossacks under ataman I. N. Krasilnikov. The remaining cabinet members met and voted for Kolchak to become the head of government with dictatorial powers. The arrested SR politicians were expelled from Siberia and ended up in Europe. After the fall of the Ufa Directory, Chernov formulated what he called the "third path" against both the Bolsheviks and the liberal-rightist White movement, but the SRs' attempts to assert themselves as an independent force were unsuccessful and the party, always fractious, began to disintegrate. On the Right, Nikolai Avksentiev and Vladimir Zenzinov went abroad with Kolchak's permission. On the Left, some SRs became reconciled with the Bolsheviks. The SR leaders in Russia denounced Kolchak and called for him to be killed. Victor Chernov tried to stage an uprising against Kolchak. Their activities resulted in the Omsk Uprising on December 22, 1918, which was put down by Cossacks, who summarily executed almost 500 revolutionaries. Mensheviks took power in Georgia and in 1918 the Democratic Republic of Georgia was proclaimed with Noe Zhordania becoming the head. The area was forcefully sovietized by February 25, 1921. Lenin recommended "a policy of concessions in relation to the Georgian intelligentsia and small traders" and "a coalition with Noe Zhordania or similar Georgian Mensheviks". Most Menshevik leaders fled to Paris. In January 1919 the SR Central Committee decided that the Bolsheviks were the lesser of two evils and gave up armed struggle against them. The SRs opened negotiations with the Bolsheviks and in February 1919 the SR People's Army joined with the Red Army. The VTsIK resolved on February 25, 1919 to reinstate the SRs except those who continued to directly or indirectly support counterrevolution. In Astrakhan, the strikers and Red Army soldiers who joined them were loaded onto barges and then thrown by the hundreds into the Volga River with stones around their necks. Between 2,000 and 4,000 were shot or drowned from March 12 to 14, 1919. In addition, the repression also claimed the lives of some 600 to 1,000 bourgeoisie. Recently published archival documents indicate this was the largest massacre of workers by the Bolsheviks before the suppression of the Kronstadt rebellion. On March 16, 1919, Cheka stormed the Putilov factory (today the Kirov Plant. More than 900 workers who went to a strike were arrested. More than 200 of them were executed without trial during next few days. Numerous strikes took place in the spring of 1919 in cities of Tula, Orel, Tver, Ivanovo, and Astrakhan. The starving workers sought to obtain food rations matching those of Red Army soldiers. They also demanded the elimination of privileges for Communists, freedom of press, and free elections. All strikes were mercilessly suppressed by Cheka using arrests and executions. The Bolsheviks let the SR Central Committee re-establish itself in Moscow and start publishing a party newspaper in March 1919. After the defeat of White Army in Russia, the party tried to reorganise and to retake contacts with its provincial organisations; despite numerous requests from party sections in East Russia and by exiled members in Europe, the Central Committee refused to take armed action against the Bolsheviks, and also supported them in the ensuing war against Poland. These decisions were confirmed by the Tenth Party Council in 1920. Despite that, Lenin accused the party of cooperation with counter-revolutionary forces and SR Central Committee members were arrested. Chernov went undercover and eventually was forced to flee Russia and the party was officially banned in 1921, after the Tenth Congress of Russian Communist Party (bolshevik). A typical report from a Cheka department stated: "Yaroslavl Province, 23 June 1919. The uprising of deserters in the Petropavlovskaya volost has been put down. The families of the deserters have been taken as hostages. When we started to shoot one person from each family, the Greens began to come out of the woods and surrender. Thirty-four deserters were shot as an example". The imprisoned SR Central Committee members were put on trial starting June 8, 1922. The trial was the first of the many political trials of Soviet Russia and ended with twelve death sentences and several years of hard labour sentences. The death sentences were temporarily suspended by the government, despite Lenin requests to proceed with executions immediately. The first large CHEKA action against alleged anarchists where people were killed was in mid April 1918 in Petrograd. Then at the end of April and beginning of May coordinated CHEKIST attacks against alleged anarchists were launched in both Petrograd and Moscow. ( P. Avrich. G. Maximoff. ) These violent attacks without warning from the Bolsheviks forced anarchists underground and prompted measured retaliation by them in self-defense. Anarchists in Rostov, Ekaterinoslav (Dnipro) and Bryansk broke into prisons to liberate the prisoners and issued fiery proclamations calling on the people to revolt against the Bolshevik regime. The Anarchist Battle Detachments attacked the Whites, Reds and Germans alike. Many peasants joined the revolt, attacking their enemies with pitchforks and sickles. Meanwhile, in Moscow, the Underground Anarchists were formed by Kazimir Kovalevich and Piotr Sobolev to be the shock troops of their revolution, infiltrating Bolshevik ranks and striking when least expected. On 25 September 1919, the Underground Anarchists struck the Bolsheviks with "their heaviest blow against the 'oppressors'". The headquarters of the Moscow Committee of the Communist Party was blown up, killing 12 and injuring 55 Party members, including Nikolai Bukharin and Yemelyan Yaroslavsky. Spurred on by their apparent success, the Underground Anarchists proclaimed a new "era of dynamite" that would finally wipe away capitalism and the State. The Bolsheviks responded by initiating a new wave of mass repression in which Kovalevich and Sobolev were the first to be shot. The remaining Underground Anarchists blew themselves up in their last battle with the Cheka,[when?] taking much of their safe house with them. However, strikes continued. In January 1920, Lenin sent a telegram to Izhevsk telling that "I am surprised that you are taking the matter so lightly and are not immediately executing large numbers of strikers for the crime of sabotage." In June 1920, female workers in Tula who refused to work on Sunday were arrested and sent to labor camps. Around 1920 Alexander Shliapnikov, Sergei Medvedev and other trade-unionists of working class origins formed a left-wing faction within the Communist Party that became known as the Workers' Opposition. 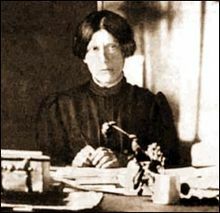 In 1921 it gained support from Alexandra Kollontai, who published a pamphlet entitled The workers' opposition, as well. The new faction had some similar demands to some of the rebellions, but supported the government and argued peacefully within it rather than resorting to violent uprisings. Instead the Workers Opposition energetically supported the crushing of these rebellions, including volunteering government representatives to participate in the crushing of the Kronstadt Rebellion. After the Kronstadt Rebellion, Lenin argued that the party needed unity at that time because their enemies were trying to exploit disunity. The Workers' Opposition and other factions were dissolved, but the leaders of the two main factions Workers Opposition and Democratic Centralists were included in the new leadership. In January 1921, the largest uprising in Russia since the civil war broke out. Insurgents blocked the railway, occupied Tobolsk, Surgut, Berezovo, and Salekhard, stormed Ishim, and came within four km of Tyumen. Both sides fought a battle of unprecedented savagery. [dubious – discuss] Regular Red Army units using armored trains, warships, and other means took part in suppressing the uprising, which was finally crushed only in 1922. The Revolutionary Insurrectionary Army of Ukraine or Anarchist Black Army led by anarchist and former Red Army leader Nestor Makhno took control of most of the southern Ukraine and Crimea after its abandonment by Red Army troops in 1919. Makhno's forces fought on the side of the Bolsheviks and played an important role in the eventual defeat of the White Armies. However, they were at odds with the Bolshevik view of a unitary Bolshevik dominated political movement. Occasionally Makhno's Black Army troops fought Red Army forces, whom the Ukrainian anarchists had viewed with mistrust after Chekist and Red Army raids on anarchist centers, including arrests, detentions, and executions commencing in May 1918. For his part, Makhno stated his support for "free worker-peasant soviets" independent of centralized control by Moscow. Makhno, a rural anarchist, viewed the Bolsheviks as urban dictators out-of-touch with the people, opposing the Bolshevik-controlled "Cheka [secret police]... and similar compulsory authoritative and disciplinary institutions". He called for "[f]reedom of speech, press, assembly, unions and the like". In practice, Makhno's Anarchist Black Army, the Anarchist Revolutionary Military Council, and the Ukrainian anarchists' political arm, the Congress of the Confederation of Anarchists Groups (NABAT) formed an overall government over the area they controlled, though they did permit local self-governing autonomous committees of peasants. Like the Red Army, they used forced conscription and summary executions, though as a relatively popular native Ukrainian movement, these measures were not used on the same scale as that of the Bolshevik Red Army. In the areas under his military control, the Anarchist Revolutionary Military Council banned all opposition parties(, 119), and like the Bolsheviks, used two secret police counter-intelligence forces: the Razedka and the Kommissiya Protivmakhnovskikh Del. Some members of the Bolshevik Central Committees considered allowing an independent area for Makhno's libertarian experiment, an idea fiercely opposed by both Lenin and Leon Trotsky, War Commissar of the Red Army. After each successful repulse of White Army forces, Trotsky ordered fresh attacks against Makhno and the Anarchist Black Army, halting only when White forces threatened to once again defeat the Red Army in the field. At the instructions of Moscow, the Cheka sent two agents to assassinate Makhno in 1920. After repudiation of two military alliances, and the final defeat of White General Wrangel in the Crimea, Trotsky ordered the mass executions of Makhnovist sympathizers, followed by the liquidation of many of Makhno's subordinate commanders and his entire headquarters staff at a "joint planning conference" in November 1920. By August 1921, Makhno and the remainder of the Anarchist Black Army had been forced into exile. SRs were among the main leaders of the uprisings of the Tambov Rebellion and the Kronstadt rebellion of 1921. Protests against grain requisitioning of the peasantry were a major component of these uprisings and Lenin's New Economic Program was introduced as a concession. The Kronstadt rebellion was led by (, 95) Social-Revolutionary Stepan Maximovich Petrichenko. He initiated the change from a protest to an open rebellion by spreading a false rumor that the Bolsheviks were coming to arrest everyone(, 85). The rebels called for free elections to regional councils (soviets) and an end to grain requisitioning. Sailors of the battleship Petropavlovsk in Helsinki; black flag calls for "death to the bourgeoisie". Despite protests from notorious anarchists like Emma Goldman and Alexander Berkman, the revolt was suppressed by Bolsheviks. Numerous attacks and assassinations occurred frequently until these rebellions finally petered out in 1922. Anarchists participated in almost all of the attacks the Left SR's organized, and carried out many on their own initiative. The most celebrated figures of these rebellions, Lev Chernyi and Fanya Baron were both Anarchists. The end result of these rebellions was the suppression of rival socialist parties and anarchists, and economic concessions from the Bolsheviks with the New Economic Policy. Menshevism were suppressed after the Kronstadt Uprising and the forceful sovietization of Menshevik Georgia. A number of prominent Mensheviks emigrated thereafter. Julius Martov who was suffering from ill health at this time went to Weimar Republic. The Left SRs collapsed as a party by 1922 and existed as small cells through 1925. During the Moscow Trials in 1937, it was claimed that Leon Trotsky, Lev Kamenev, and Grigory Zinoviev were involved in the Left SR uprising. Yuri Felshtinsky claimed the Left SR Uprising was staged by the Bolsheviks as a pretext to discredit the Left SRs. L. M. Ovrutskii and Anatolii Izrailevich Razgon produced research to refute this. ^ Hosking, Geoffrey A.; Hosking, Emeritus Professor of Russian History Geoffrey (2006). Rulers and Victims: The Russians in the Soviet Union. Harvard University Press. ISBN 9780674021785. ^ Carr (1985), p. 111. ^ Carr (1985), pp. 111–112. ^ Carr (1985), pp. 113–115. ^ Carr (1985), p. 115. ^ Carr (1985), pp. 115–116. ^ Carr (1985), pp. 118–120. ^ Carr (1985), pp. 120–121. ^ Carr (1985), pp. 161–164. ^ Carr (1985), pp. 170-172. ^ Carr (1985), p. 339-350. ^ Carr (1985), p. 172. Carr, E. H. (1985). The Bolshevik Revolution 1917-1923. W. W. Norton & Company. Paul Avrich, "Russian Anarchists and the Civil War"
Nadezhda Krupskaya, "Ilyich Moves to Moscow, His First Months of Work in Moscow"
V. I. Lenin, "Interview Granted To An Izvestia Correspondent In Connection With The Left Socialist-Revolutionary Revolt"
"Poole to Lansing on assassination of Count Mirbach"
Leon Trotsky, "Revolt of the Left SRs"